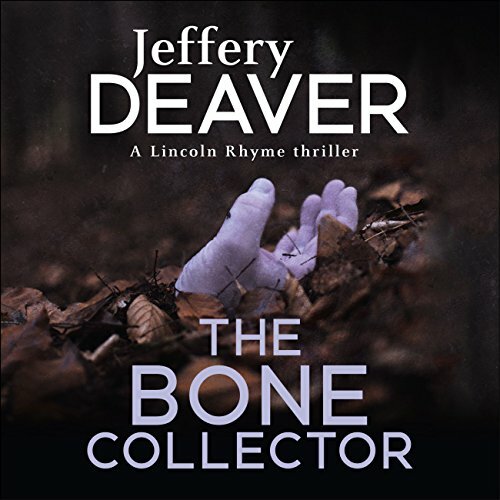 From the best selling author of The Bone Collector and Devil's Teardrop comes this spine-chilling new thriller that pits renowned criminalist Lincoln Rhyme against the ultimate opponent - Amelia Sachs, his own brilliant protégé. It's the night of the full Cold Moon: the month of December according to the lunar calendar. A young man is found dead in lower Manhattan, the first in a series of victims of a man calling himself the Watchmaker. 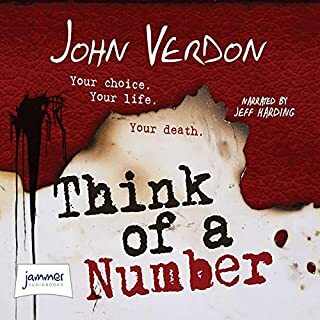 This killer's obsession with time drives him to plan the murders with the precision of fine timepieces, and the victims die prolonged deaths while an eerie clock ticks away their last minutes on earth. 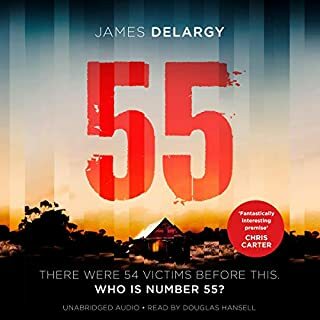 A trio of desperate convicts has hijacked a bus carrying a group of deaf and mute schoolgirls who are now being held hostage in a disused slaughterhouse. FBI agent Arthur Potter is flown in to negotiate with the men, as are local police, state troopers, politicians and the media. Not everyone has the same agenda. And the killers will kill one innocent child an hour, on the hour, until their demands are met. After an early morning machinegun attack by a madman called the Digger leaves dozens dead in the Washington, D.C., subway, the mayor’s office receives a message demanding twenty million dollars by midnight or more innocents will die. 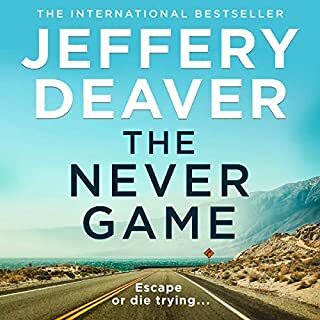 It is New Year’s Eve, and with the ransom note as the only evidence, Special Agent Margaret Lukas calls upon retired FBI agent and the nation’s premier document examiner Parker Kincaid to join the manhunt for the Digger. A killer is changing the rules. One murder at a time. You wake up all alone, in the middle of a forest, miles from anywhere. Beside you lie five objects - a lighter, grease, picture-frame wire, a piece of silk, a bottle of water - which you will need to use if you want to survive. You’ve been taken by the Whispering Man and there is no escape. He makes the rules and nobody ever gets out alive. Enigmatic investigator Colter Shaw is fighting to stop the murders. But another victim has been snatched from her family and he’s running out of time. 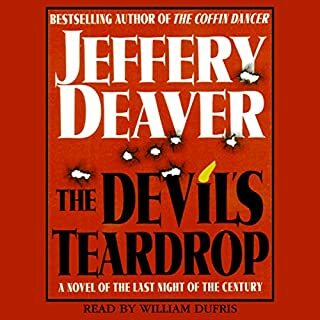 Tormented and racked with guilt over the brutal slaying of his wife and daughter, Charlie Parker, ex-cop with the NYPD, agrees to track down a missing girl. It is a search that will lead him into an abyss of evil. At the same time, he is warned by an old black woman in Louisiana that "The Travelling Man" is about to strike again. 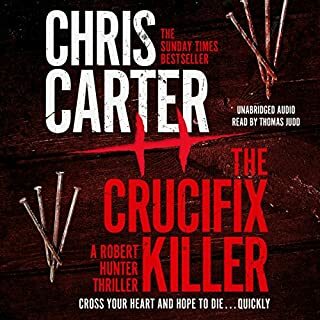 Multiple strands converge with a horrific confrontation in which hunter and hunted are intimately connected by guilt. It begins with a letter... The letter contains a request - think of a number, any number - and a sealed envelope. Inside the envelope is that number... 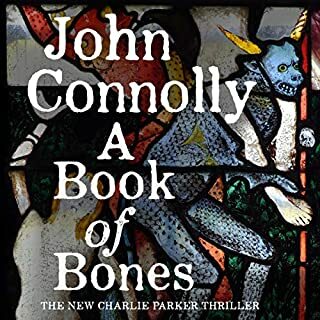 When Dave Gurney, retired NYPD homicide detective, is contacted by an old college acquaintance about some startling letters he’s been receiving, it is at first little more than a diverting but sinister puzzle. 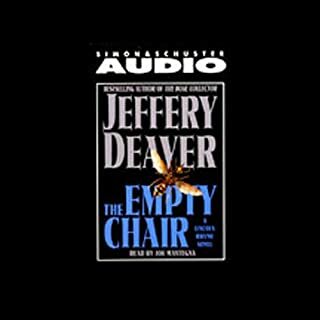 Until the acquaintance is brutally killed.Suddenly Gurney finds himself in the middle of a murder investigation that makes no sense. Wilbrook in Western Australia is a sleepy, remote town that sits on the edge of miles and miles of unexplored wilderness. It is home to Police Sergeant Chandler Jenkins, who is proud to run the town’s small police station, a place used to dealing with domestic disputes and noise complaints. All that changes on a scorching day when an injured man stumbles into Chandler’s station. He’s covered in dried blood. His name is Gabriel. He tells Chandler what he remembers. New York is being held to ransom. Manhattan’s electricity grid has been the victim of a horrific attack...and more are planned. 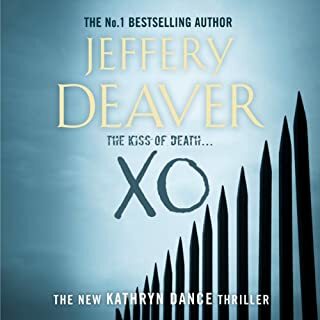 While the FBI and Homeland Security try to determine who's behind the carnage, Lincoln Rhyme and Amelia Sachs race to decode the forensics in order to prevent the next assault. But all is not what it seems. 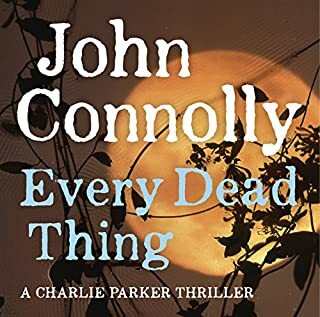 When Jack Nightingale learns that there is a mysterious list of children who are at risk, he takes the case, spurred on by the fact that he knows one of the names, and that makes it personal. His investigation brings him up against a demon from hell who is being used on a mission of revenge. But if Nightingale is to save the children, and his own soul, he’ll need help from an old adversary. Wyatt Gillette, a cyber genius who's never used his phenomenal talent for evil, is sitting in a California jail doing time for a few harmless computer capers when he gets a temporary reprieve - a chance to help the Computer Crimes Unit of the state police catch a super hacker called Phate who's using his ingenious program, Trapdoor, to lure innocent victims to their death by infiltrating their computers. 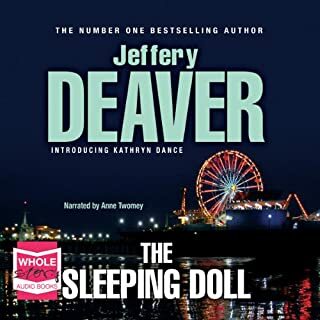 When the body of a young woman is discovered in a derelict cottage in the middle of Los Angeles National Forest, Homicide Detective Robert Hunter finds himself entering a horrific and recurring nightmare. Naked, strung from two wooden posts, the victim was sadistically tortured before meeting an excruciatingly painful death. All the skin has been ripped from her face - while she was still alive. 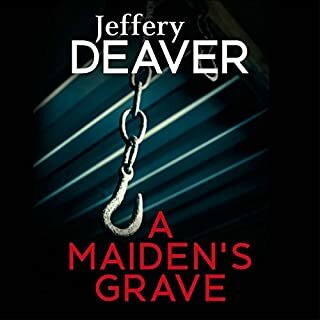 On a lonely moor in the northeast of England, the body of a young woman is discovered near the site of a vanished church. In the south, a girl lies buried beneath a Saxon mound. To the southeast, the ruins of a priory hide a human skull. Each is a sacrifice, a summons. And something in the darkness has heard the call. But another is coming: Parker the hunter, the avenger. There are so many characters and the narrator had got a different voice or each and maintained them throughout. Did not particularly like his female voices but it did give them definition for their characters. Story was great. 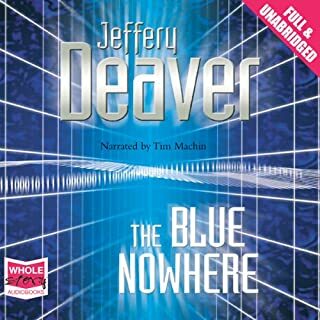 This is the first Jefferey Deaver that I have either read or listened to, and it definitely won't be my last. If you like Greg Hurwitz and Michael Connelly, you'll love this. It is very fast paced and it ties all the ends up nicely. I do like the author to tell me the end and not leaving me guessing... after all it's the author's story and I am paying him, so I want a proper end.. even if I don't like it. 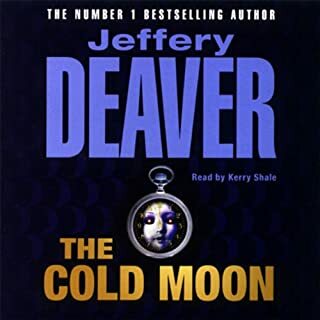 Jeff Harding narrates this brilliantly, (one of my favourite narrators and I often pick a story simply because he's the narrator.) I love all the voices, he does, especially the black policewoman who cracks me up... he's brilliant at getting the sassy edge. 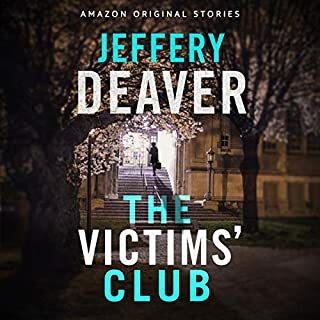 This story really keeps you guessing ... and even when you think you know who did what and why.. there was a brilliant twist I didn't see. What a great book with a preposterous yet joyous storyline. This was my first encounter with Lincoln Rhyme and his cantankerous view on life. Glad I finally added this to my list! 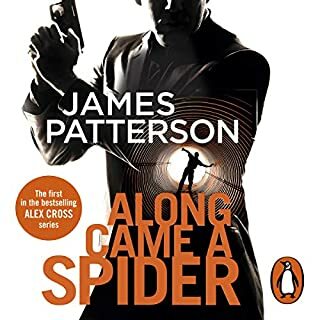 My wife has for years told me to get into this years, and thanks to this audio book I most certainly have. Fantastic set up to explain the scenes as the story unfolds and the characters are well written in a relatable and fallible way. Narration good, takes a bit to accept the “women’s voices” but you slip into it quickly. The storage was well written and produced a variety of suspects throughout. The ending was well thought through and a great read. 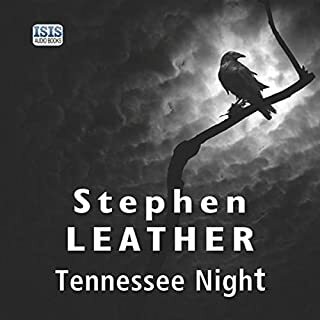 The audible recording was entertaining and the voice acting easily differentiated the characters, making it easy to follow the story. Definitely recommended. Having watched the film and really enjoyed it I didn't know how the book would compare. I have to say that the book was fantastic, it really proves that in most cases books are better than the film. 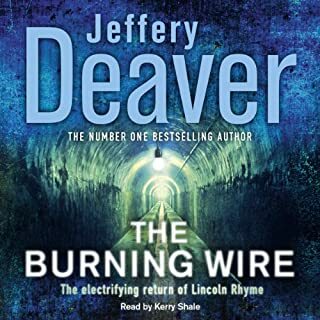 I feel the Narrator Jeffrey Harding did a really great job, this is the first time I have heard him preform in regards to audio books and I really enjoyed it. Over all a great listen, well done. I can't remember the last time I couldn't put a book down. This book is amazingly good. I'm usually very good at guessing and working out different aspects of the story. I was right once in the entire book and even when I was so sure about who the culprit was i wasn't even close. Best audio I've downloaded yet and I'm visually impaired so I listen to alot. The Bone Collector is one of my favourite movies. The novel/audiobook, however, has to beat even the movie. There are a few differences between the two, however minor they seem. Things such as Amelia Sachs (in the novel) becomes Amelia Donaghy, the nurse in the novel is Thom and in the movie he's become Thelma. As I've already stated though these are small things so don't let them put you off the novel or audiobook. All in all it's a good read or listen, depending on your preference. Personally I got the Kindle book with Audible narration...possibly the best of both worlds. 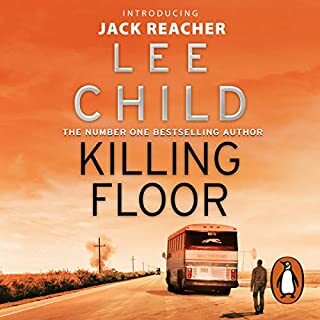 Was going into hospital so wanted to fill my MP3 with decent books that would keep me occupied so I downloaded this as my first and I really tried with it. It just didn't grab me. I found the voices awful the scientific stuff boring and I didn't like the main character. Nothing gripped me. I've seen the film and that probably influenced my reaction to the book as well. The plot was just up my street though.. I realise I'm in the minority with my review but sadly I'm returning it. I’ve always loved the movie and knew the book would be better but the performance of the narrator made it an incredible book. Fantastic character distinction in his voice, I’ll listen to this again and again. I saw the movie a few years back but the book is soooo much better. don't go past this one.